Golf 7R and some early Audi S3 models have a different windscreen washer bottle fitment to the other MQB cars, with the reservoir located on the right of the vehicle compared to the majority of MQB models which have the washer bottle on the left. For these cars with right-hand reservoirs, this is located where the Catch Can will be mounted. The kit replaces the top half of the factory washer bottle to still allow you to refill your washer fluid easily and neatly. Included is a beautifully high-gloss filler cap which locates conveniently on the front panel using the bracket provided. 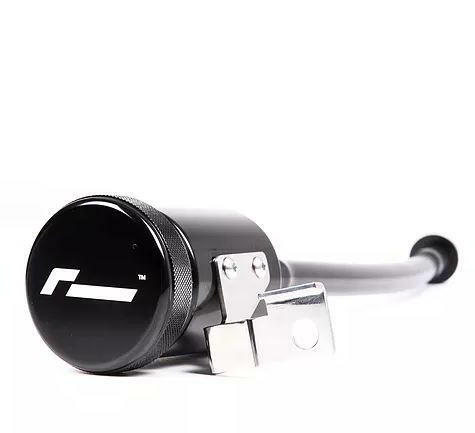 Many owners prefer the appearance of our Remote Washer Refill and of course this can be fitted without having the RacingLine Oil Management kit installed. 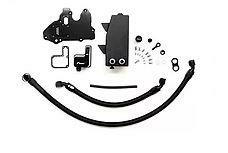 Complete fitting kit, including brackets. 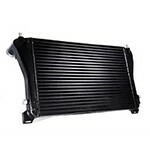 The most sophisticated oil management system to seperate oil and moisture vapours out of your intercooler and intake charge, and protect against oil-surge. Our giant-sized, high efficiency front mounted intercooler is an essential upgrade to keep intake temperatures low – and keep power levels high.